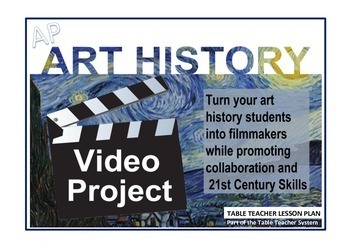 Make art history fun with this collaborative video project while promoting 21st century skills at the same time. 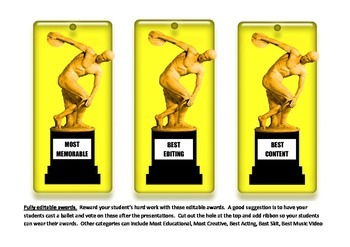 Students can demonstrate their understanding of art history through music videos or short skits. 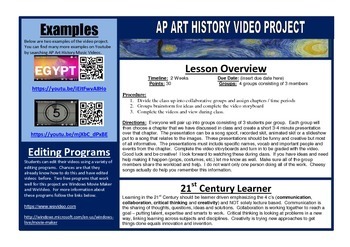 I use this project with my AP Art History course but it is easily adaptable for younger ages. The lesson is a Microsoft Word document which makes for easy edits and altering of the lesson to suite your needs.